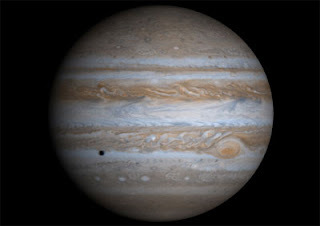 Destroys all malefic effects, respected, interested in occult subjects, long life, expenditure on tourism, proficient, clear in thoughts, handsome, happy, wealthy, polite, soft spoken, sons, religious, loves justice, high status, happiness from son, devotee of god, enjoys prosperity since childhood, good deeds, salvation, high status in government if Jupiter has directional strength, enjoys good food, knowledge of Vedas, lucky at the age of 16, fortunate at the age of 26. If with Mars - financial gains. If in Sagittarius sign or with malefics - gambler, speculator, priggish. If in Pisces sign -highly educated, progeny, polite. If in Aries or Leo sign - self pride. If in Taurus, Virgo or Capricorn sign - selfish. If in Scorpio or Pisces sign - joyful, pleasure - seeker, extravagant. If debilitated or under influence of malefics - wicked, separation from family, number of enemies, medium life. If in own or friendly sign - long life, happy, honour, and sons. If with Saturn or aspected by Saturn - philosopher, mental torture, religious. If exalted - salvation, multi - millionaire. If Saturn is in 7th house - gastric problems, neurological problems. If with Ketu - comforts like kings. In female horoscope - long life, progressive, high respect, intellectual, wise, religious, serious nature, prosperous, chastity, always speaks truth, very beautiful, handsome body, important among females, successful in politics, comforts of queen, member of parliament / legislature assembly, leader among women, beloved of husband. Words are well chosen, well spoken, poet, administrative capability, handsome, honor from government, works for good cause, long life, respected by affluent, beautiful face, businessmen, good in grammar, knowledge of Vedas, good food, good orator, respect in society, does not enjoy material happiness, impotent, sometimes defeated, difficulty in getting material gains, Judge/ magistrate, collector, devoid of happiness of father, no inheritance, may be adopted by others, education incomplete, wife dies before husband. In female horoscope - prosperous, good orator, prosperity of family, without jealousy, does not wish bad for others, fame in family, very fortunate, charming, religious, fond ofjustice, leader among females, high status, with jwellery / gems. Wicked, difficulty in material gains, dyspepsia, writer, settles on foreign land, happiness from brothers but cause of suffering for brothers, ascetic, theist, sexual, fond of foreign land, defeated by spouse, businessmen, 20th year of life is very important, foreign travel at the age of 38, yogkarak in its main/ sub - period, is not a reliable or ingratitude friend, does not enjoy comforts of life even through honoured by government, weak, religious, spiritual, serious, peaceful. If in Gemini sign - fortunate. If in Aries, Taurus, Leo, Libra, Scorpio, Sagittarius or Pisces sign - medium results. If afflicted with Mars - obstacles. If aspected by malefics - devoid of wealth. If with benefics - brothers long lived. If in Aries, Leo or Sagittarius sign - influential, victorious. If in Taurus, Virgo or Capricorn sign - successful in business. If in Cancer, Scorpio, or Pisces sign - gains from foreign travel. If in Sagittarius or Pisces sign - only one brother. If in Taurus or Aquarius sign - suffers due to brothers. In female horoscope - definitely settles on foreign land, playful, ascetic, sportswoman, ill health, without any influence, no respect, sinful, deformity in body, devoid of wealth, co-borns without wisdom. If Jupiter is aspected by Moon - wealthy. All comforts, comfort of conveyance, even the enemies praise, unsatisfied, ascetic, handsome, hard worker, opponent of children, popular, devotee of parents, reputed, good behavior, progressive, astrologer, fortunate on foreign land, death while remembering god, good education, philosopher, enjoys all material comforts, employed in govt. service as gazette officer, fast promotions, happiness from co-borns at the age of 12 and 20. Respects the preceptor, fortunate at the age of 22, ability to drive different types of vehicles, enemies cannot do any harm, religious. If in Scorpio sign - so powerful that even malefics have no adverse effects. If lord of 8th and 11th house - harmful. If with strong planets/ benefics/ Moon or Venus - big residential accommodation, conveyance etc. If with malefics - wicked. If exalted - salvation. If in Taurus sign - multi millionaire. In female horoscope - comforts of conveyance, wealth and property, happiness of parents, long life, wise, reputed, fond of good food, always happy, well educated with jewelry and gems, famous. If Jupiter is aspected by Moon - wealthy, comforts during old age, many servants, rich parents and in -laws. Pleasure seeker, fond of taking rest, good orator, imaginative, poet, writer, financial gains - in speculation, progeny, policy -maker, literary, minister / advisor/ secretary, problems due to sons, polite, soft - spoken. If aspected by benefics - sons. If aspected by malefics/ enemies/ or lord of 6th, 8th or 12th house/ debilitated - only one son remains alive. If with malefics - death of child. If afflicted - gambler, speculator. If retrograde - suffers. If with Rahu/Ketu-death of son. If exalted or in own sign - problem with progeny, more number of female issues. If in Aries sign - generous, high thinking, destroyer of enemies. If debilitated-atheist. If in sign of retrograde planet - sufferings, suffers because of children. In female horoscope-name and fame, well educated, gets scholarship, sons and gains through sons, very beautiful, chastity, able children. Soft - spoken, good deeds, religious, always speaks truth, good orator, good husband, Vedic and religious education, successful in competitions for govt. service. If aspected by Moon - wealthy. Ill health, destroyer of enemies, victorious, happiness of spouse, devoid of happiness of maternal uncle, ill health of mother, obstacles in progress, insulted, corrupt, astrologer, doctor or ayurvedic physician, business of paper, lucky in speculation, indigestion, intelligent, famous, generous, good deeds, fear of ill health or arms during the age of 40. Suffers at the age of 6,8, and 12. Nose problems, lover of music, lazy; does well in the service of health department, signs of injury in body. If in enemy's sign or retrograde - danger or loss from enemies. If in sign of Saturn and with Rahu - chronic or dangerous disease or T.B. If in Sagittarius or Pisces sign - enemies are from own caste. If with Ketu - charming nature, knowledge of death in advance provided second house is vacant. In female horoscope - ill health, angry, number of enemies, life full of problems, more enemies and opponents, bulky body or overweight, speaks truth, no interest in household work. If debilitated or with malefics - ill health. Very intelligent, famous, lucky, orator, wise, artist, polite, patience, settles on foreign land, extramarital relations (definite), wife very intelligent, children happy, sons-more, polite and with better status than father, beautiful, fortunate after marriage, successful in profession, marriage at the age of 22 or 34. Special progress at the age of 34. Wife of same caste, co-borns, priggish, illegal relations with Brahman lady, wife of fair colour, soft spoken, charming personality, gets fame injustice. If in Pisces sign - delay in marriage. If weak/ with malefics/ aspected by malefics - extra - marital relations. If in Capricorn or Aquarius sign - inauspicious results but increase the signification of houses which are being aspected. If in Capricorn sign - wife short - lived. If debilitated or in enemy's sign -wicked and corrupt wife. If in Aquarius sign - gets respect, famous. If exalted or in own sign - definitely corrupt. In female horoscope - character beyond doubt, happiness of husband, employed, wealthy, famous, happy, intelligent, more number of enemies, good husband, beloved of husband, fond of travelling, faithful to husband. Long life, away from father, good health, happy, patience, charming, intelligent, writer, often in service, friends spend money on him, corrupt, greedy, suffers from venereal disease, barbarous, astrologer, ill health or fear of death at the age of 31. Yogkarak during own main/ sub - period, mentally disturbed, luck does not favor, defeated, salvation, relations with poor or low caste females, no inheritance, financial gains in marriage, gets wealth due to will by others. If strong - sudden financial gains. If exalted or in own house -knowledge of religions. If lord of 8th house is malefic - relations with widow at the age of 17. If lord of 8th house is weak -short lived, wicked, pleasure seeker. If exalted - salvation. If with lord of 2nd house - defects of speech. If with Moon -inauspicious. In female horoscope - long life, good health, bulky body, bulky hands and feet; eats very less, always tells lie, no chastity, separation from husband, pleasure seeker, playful, wanders on pilgrims, shortage of money, devoid of husband and son. If aspected by Moon - long life, husband long-lived. Sons, favourate of king, affection with co-borns, plans remain incomplete because of laziness, famous, devotee, knowledge of Vedas, fortunate, intellectual, knowledge of many subjects, ascetic, minister/advisor/secretary, no desires during old age, beautiful, civil engineer, draftsman, liked by females, lucky on foreign land, interested in occult subjects, financial gains/ income from administrative service, prosperity at the age of 33, yogkarak during its period, preceptor during last birth, co-borns are polite, religious, father. suffers at the age of 15, luck favors at the age of 16. If exalted - fame, salvation. If with Rahu/Ketu or aspected by Saturn - unsuccessful. If in Cancer, Capricorn or Pisces sign - marine journeys, foreign travel. If in Aries, Taurus, Gemini, Leo, Virgo, Libra, Scorpio, or Sagittarius sign-land travels. If Aries sign - generous, polite, high thinking, destroyer of enemies. If with lord of 3rd house - prosperity after the age of 20. In female horoscope - lucky, religious, donor, intelligent, looks like goddess, famous, gratitude, all types of comforts, destroys the malefic effects of other planets, high status of husband, beloved of husband. Land lord, palatial house, artist, unsatisfied with sons, good deeds, good conduct, fame, wise, just, expert in occult subjects, independent thinker, devotee of rich parents, high status, judge/ magistrate/ administrator officer, favourate of king, fortunate at the age of12, financial gains at the age of 12 and 19, successful in politics, continuous progress in government service, comforts of latest conveyance, not interested in females other than wife, religious, many people dine at home. If with malefics - wicked, obstacles. If exalted - salvation, guests are welcomed at home. 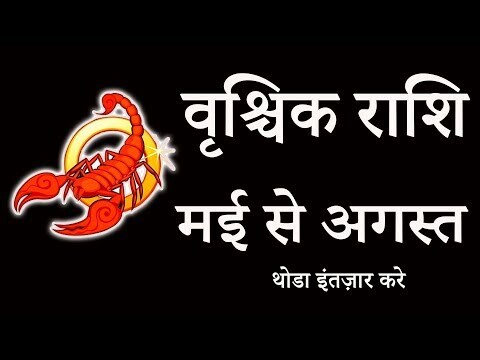 In female horoscope - happiness and gains from father, lucky for father, social, political, name - fame, wise, generous, donor, gets famous due to some important work, servants, interesting business, successful in politics, sons, jewellery, loved, by husband. Fame, prosperity from childhood, teacher, professor, preceptor, gains from govt. treasury, helpful for others, expenditure for good cause, engaged in profession, good health, intellectual, adventurous, beloved of number of females, architect, artist, civil contractor, civil engineer, long life, lucky after birth of son, fortune teller, financial gains at the age of 24, gains at the age of 32, suffers due to elder brother, gets good and valuable articles, understands the responsibility of father, others enjoy with his money. If with Moon - very fortunate, gets others' property. If debilitated - pains in legs. If in Cancer sign - more number of female issues, long life, female issues in its own period. In female horoscope - wealth, property, sudden financial gains, well educated, has control on senses, fame, religious, artist, donor, always speaks truth, wealthy like queen, member of parliament/ legislature assembly, beloved of husband. Lazy, greedy, knowledge of religion, expenditure of religious deeds, fond of yogas, editor, confidence, expenditure, on guests, children are spoiled, heart problem, service, serves lower caste people, lucky due to friends, loss of money at the age of 25, eyes - trouble, laziness in helping preceptors and co-borns, venereal disease, sexual relations with Brahmin and pregnant females. If malefic-inauspicious results. If benefic - auspicious results. If debilitated - convict, children are spoiled. If lord of 6th house - good health. If exalted - salvation. If debilitated -very wealthy.